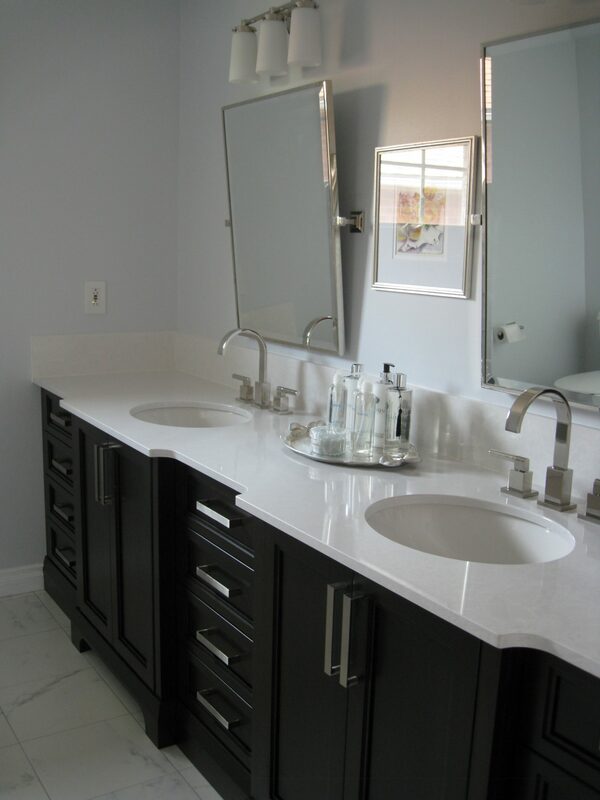 A stylish vanity can accentuate any bathroom. 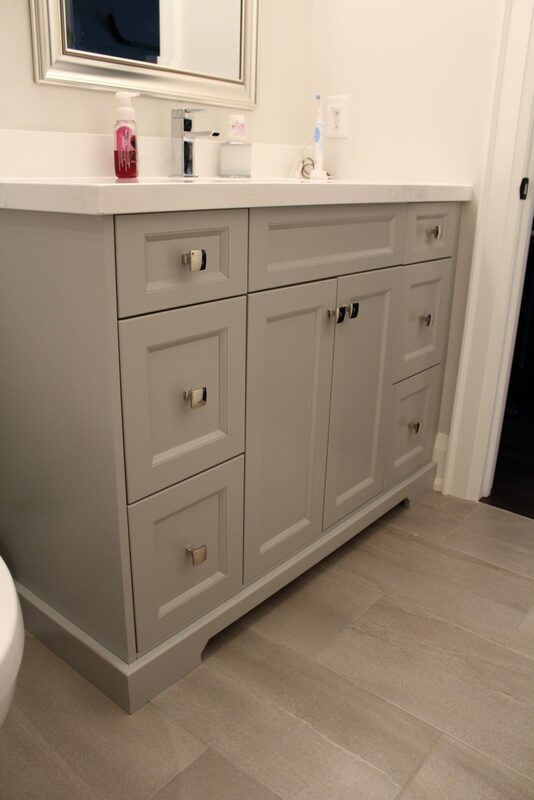 Touchwood Cabinets specializes in custom vanity solutions to fit any space and address all of your storage needs. From simple design to floating or one with legs to give it a furniture feel, we make sure it looks exactly how you’ve envisioned. 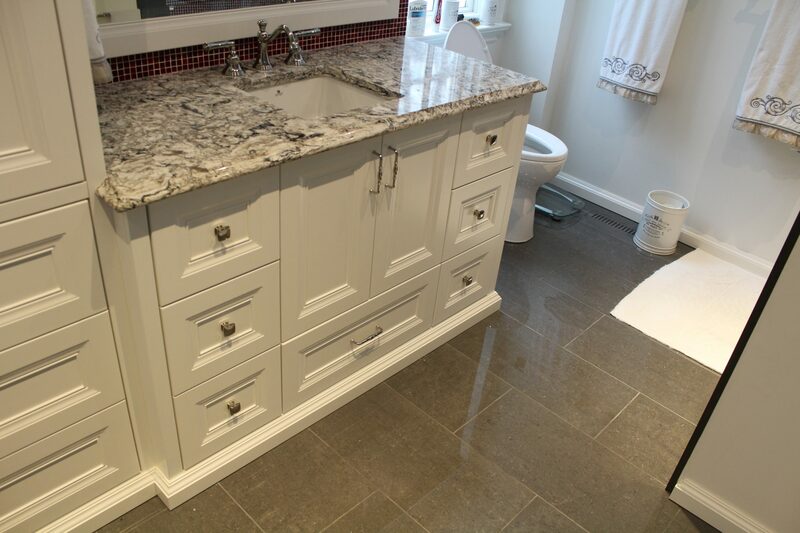 Let us help you create the ultimate bathroom getaway, all within the walls of your home. 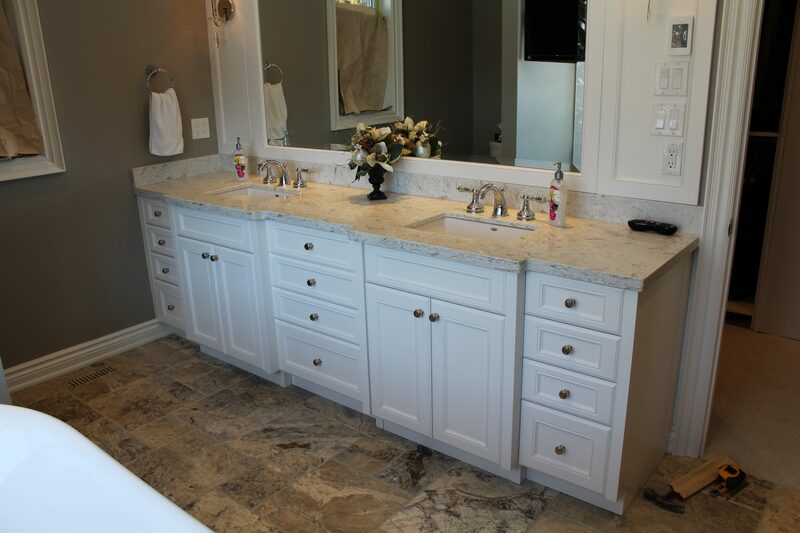 Personalize your bathroom with a custom vanity that suits your style. Since everything is made to order, there is no standard size. 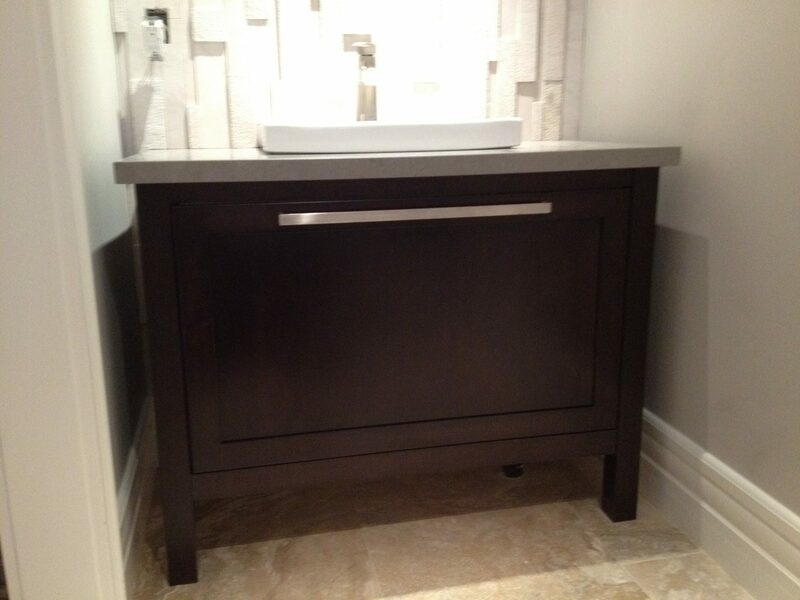 We can make your vanity fit into any sized space, with custom widths, depths and heights. 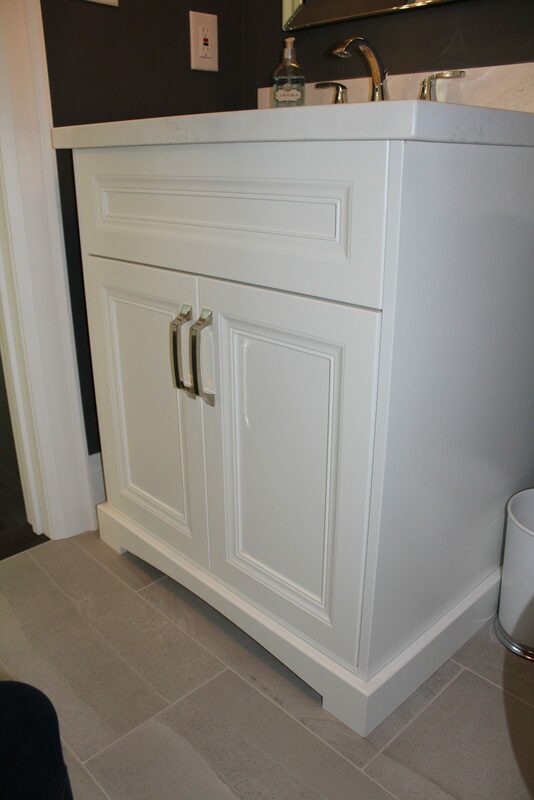 Add a pull out drawer under the sink for extra storage or u-shaped drawers to fit around the plumbing. 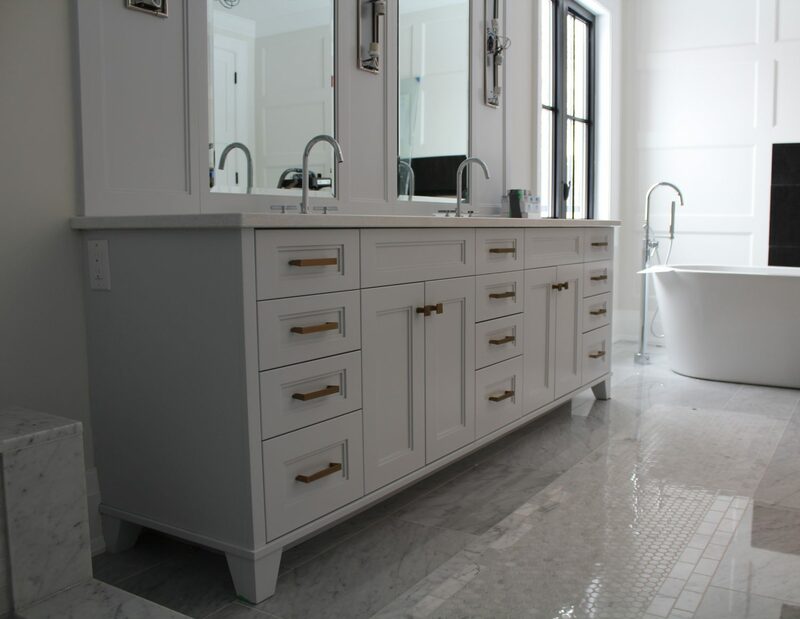 Want to add the finishing touches to your bathroom? 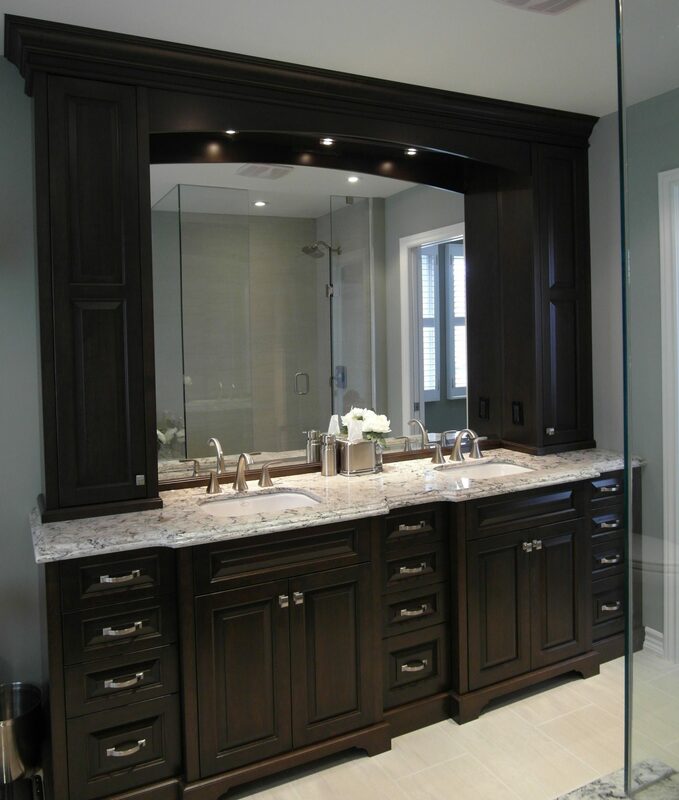 Add a custom mirror frame that matches your custom vanity with either a flat or a beveled mirror for an added detail.